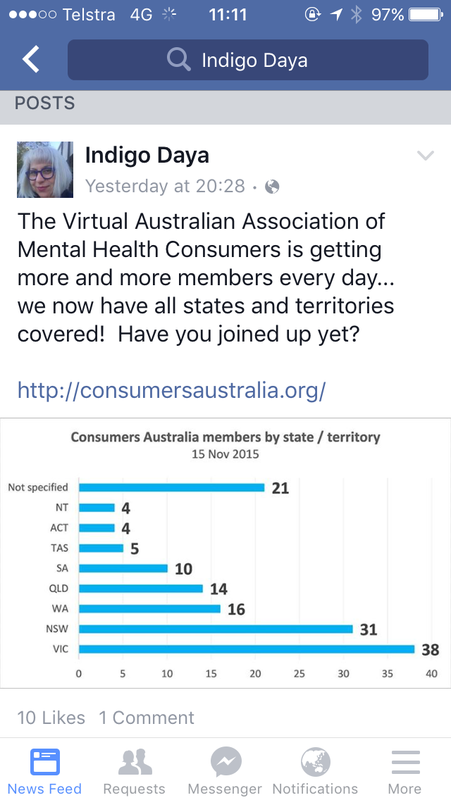 The Virtual Australian Association of Mental Health Consumers is getting more and more members every day… we now have all states and territories covered! Have you joined up yet? How do you sign up, this is great.